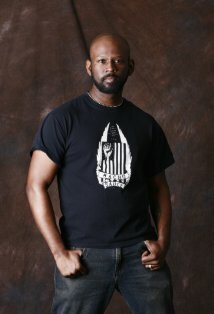 Yes, I am white… and if skin color is the first thing that you see in everyone, you can stop reading now, because you wouldn’t understand what I am about to say, anyway. Which party continually seeks to define people by the color of their skin? 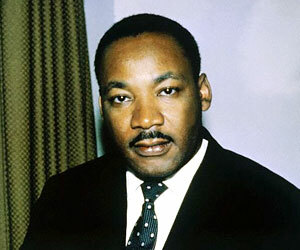 The late Dr. Martin Luther King, Jr.
Was that Martin Luther King, Jr.’s vision? Or, did King dream that people would be defined by the content of their character? There is a party out there seeking to keep minorities separate from the great melting pot that is the United States of America, and it isn’t the Republicans. If one thinks about it, it has always been the Democrats that want people to make a little check mark in the category of “race”. There is a damned good reason for that. It makes it easier for them to put everyone in a neat little box, and play them all against each other. There are many conservative minorities, and their numbers are growing. They aren’t the ones to be compared to Uncle Tom, living in the “master’s house”. Far from it. A far closer analogy to them would be the free men, escaped from the shackles of the plantation. 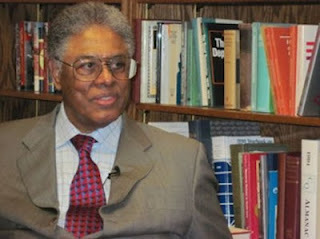 Brilliant men like King and Thomas Sowell, and members of a newer generation like Alfonzo Rachel..? Those guys aren’t the kind to be told what to think. They’re LEADERS… and there are many more like them. These leaders inspire awe in every conservative from every background, because we have never cared about their skin color, and we never will. We care only about the strength in their hearts; something they’ve never failed to show in abundance. The points they make are timeless, and undeniable. How many years… decades… have predominately minority neighborhoods been run solely by Democrats, and how well is that really working out? Shouldn’t that alone be proof enough that they don’t care about anything but the minority vote? They only show up at election time. Everyone knows that the Democrats created the Ku Klux Klan to terrorize minority communities. But then, aren’t the Democrats telling us all that there was a major party shift and that all of the racists ran to the Republican Party? Did Byrd change parties? Did Al Gore, Sr. become a Republican? The truth is that the racists were marginalized out of any real power, and those that did retain power were mostly Democrats who held onto it by appearing to be contrite and apologizing for their sins. I’m not proud that Thurmond became a Republican, but that is truly the exception that proves the rule. The KKK hated Republicans even more than they hated black people. The Republicans were built specifically to fight the racist machine. What’s the likelihood of all of those racists getting mad at the Democrats and then running out to vote for the people they hated most? But those old guys are gone. Back then the Democrats exploited racial tensions by stoking white fear of minorities. Now they exploit those same tensions by stoking minority fear of whites. But either way, the Democrats have ALWAYS sought to exploit racial tension for their own political gain. It is the hallmark of their entire history, and that is why Republicans have always opposed them.